CES staff making sandwiches for Rosies. L-R Gloria West, Jessica Skinner, Andrew McKenzie and Donna Moore. 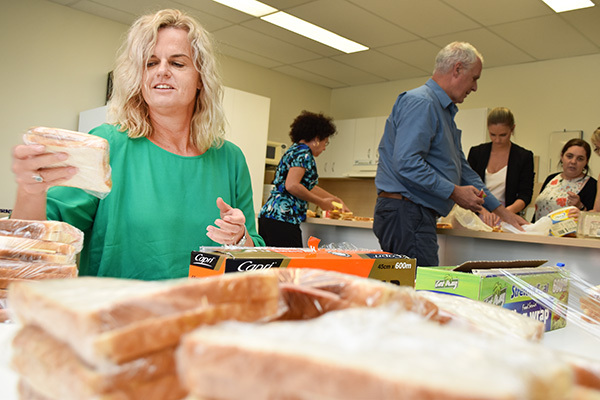 A production line of dedicated Catholic Education Cairns (CES) staff regularly team up to make sandwiches and pack personal items for homeless people sleeping rough at night in the local area. CES’ Manager of Governance and Engagement, Andrew McKenzie mobilised the organisation’s contribution to the charity ‘Rosies’ almost five years ago. “There are more than 70 people living and sleeping on the streets in the Cairns area, and we have found a way to help them,” he said. Rosies provides food and company to those in need four times a week. The charity relies completely on donations and volunteers. 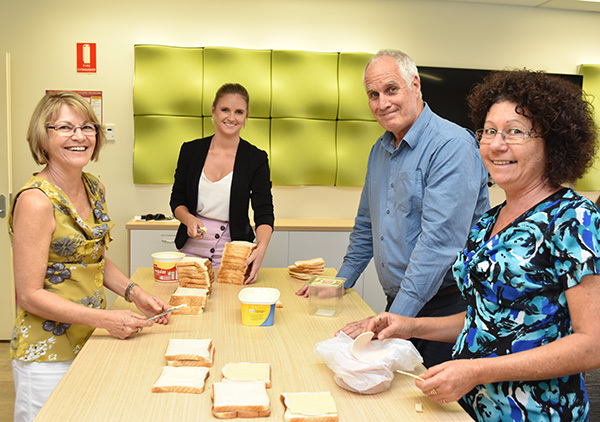 Approximately 8,750 sandwiches have been made by CES staff alone since they started the fortnightly production line. A significant number of hygiene packs have also been provided to Rosies for distribution. Rosies currently receive donations from schools, families, indigenous groups, restaurants and cafes, cultural organisations and various parishes across the Cairns region. To donate, or find out how to get involved, visit http://rosies.org.au/. CES’ Director – School Effectiveness, Sally Towns at work.